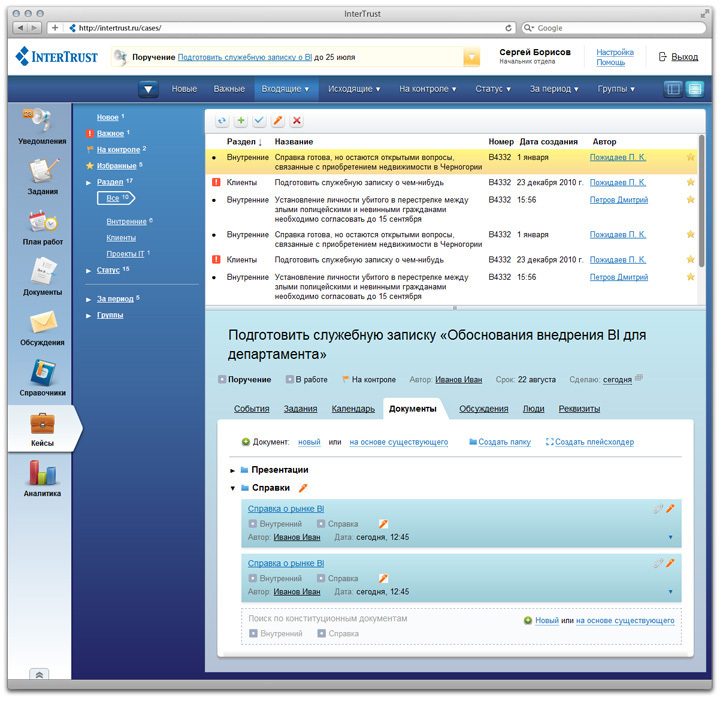 Task: to develop an easy-to-use interface for a document management system. 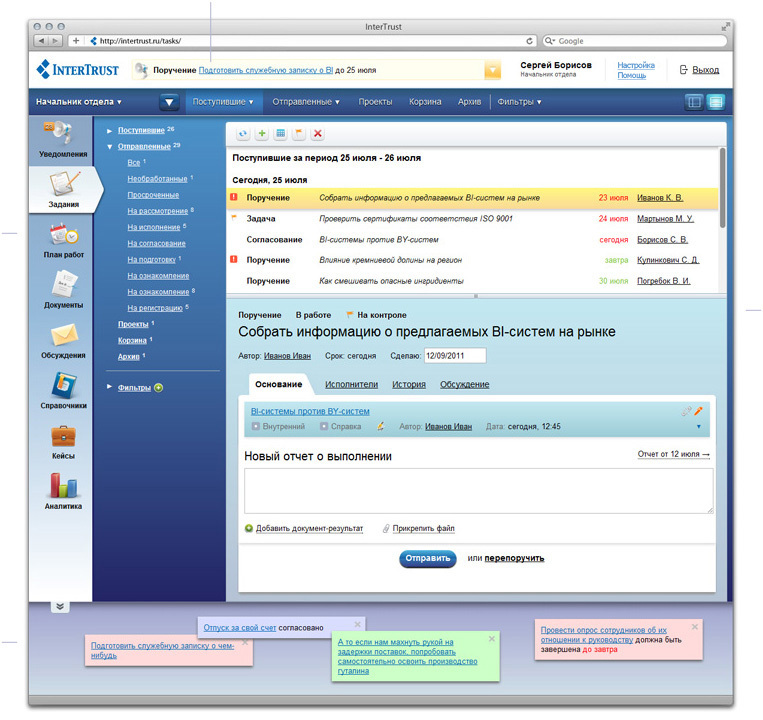 The software package developed by Intertrust company is intended for large businesses and organizations—international companies, banks, government departments, city and regional administrations. 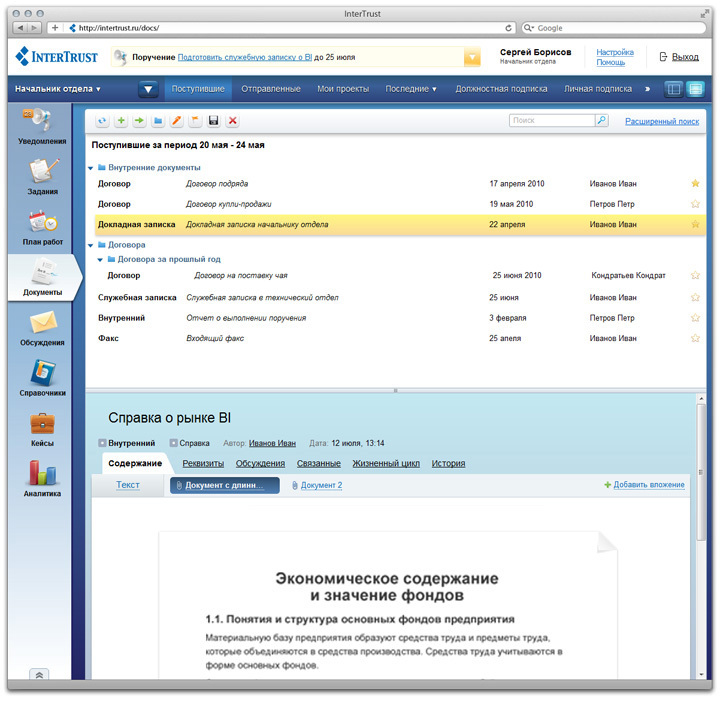 It allows the company to switch to electronic document management, reduce paperwork and simplify business processes. 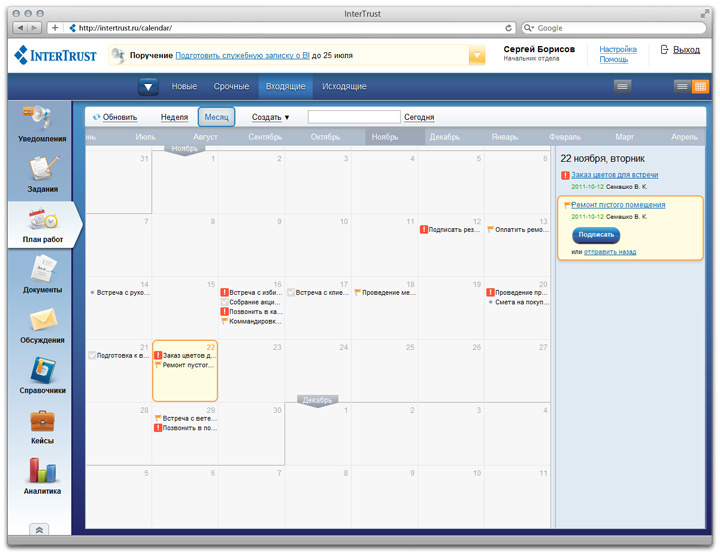 Users can customize the appearance and arrangement of panels according to their current tasks and preferences. Time management is also an important issue. 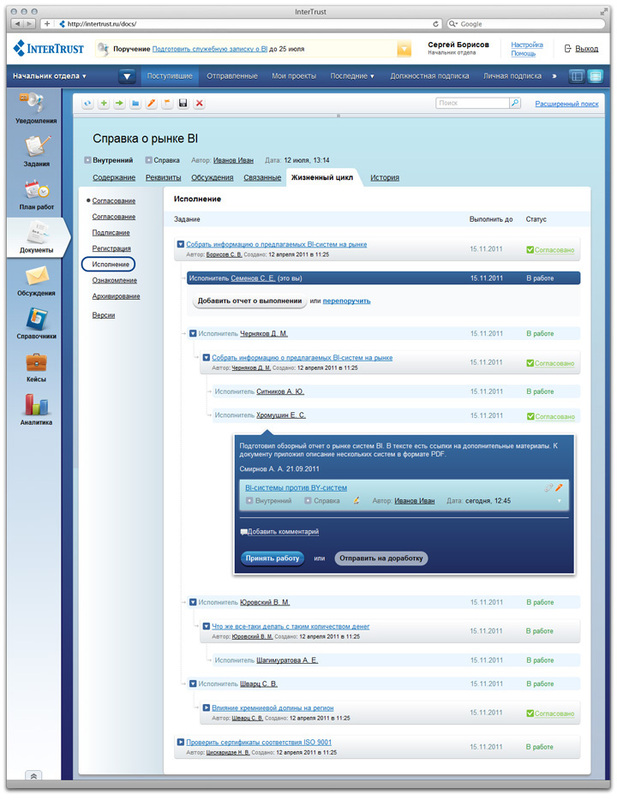 The document’s life cycle allows to monitor the stages and phases that a document or on order goes through. 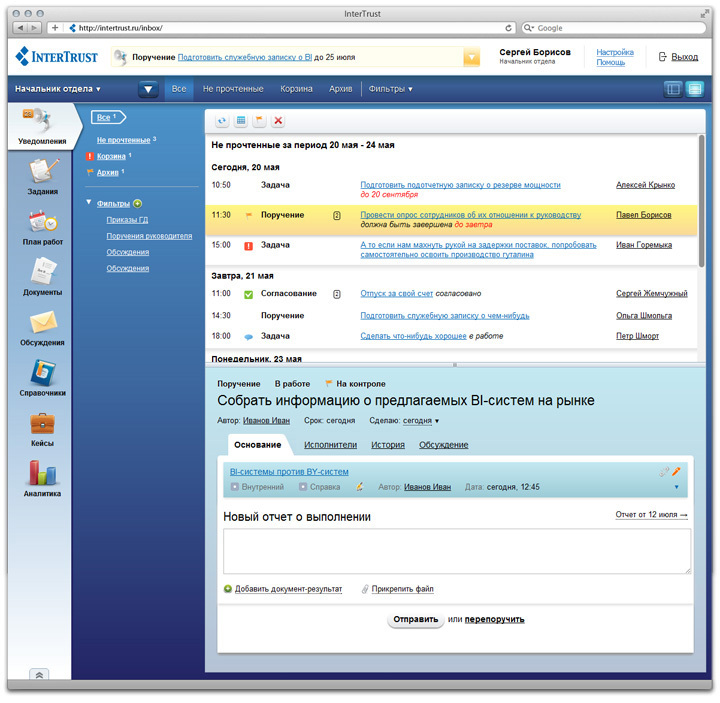 Document properties, connected files and available actions are also displayed here. 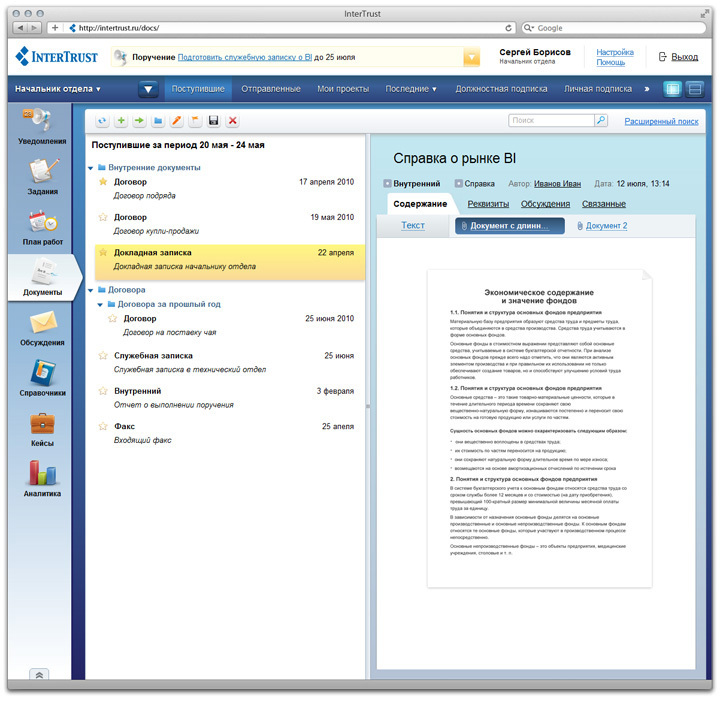 For team working on complex and long-term projects, the documents are joined together into cases.